West Maui is such an amazing Hawaii travel destination! The neighboring towns of Lahaina and Ka’anapali offer an abundance of great activities, restaurants, historical sites and ocean activities to explore! We’ve created this Top 10 Things To Do in Lahaina & Ka’anapali article so that the next time you’re visiting the Island of Maui, you can spend time at some of the more in-the-know destinations. The historic Town of Lahaina was once the original seat of the Hawaiian Monarchy, a bustling seaport, and a whaling village. 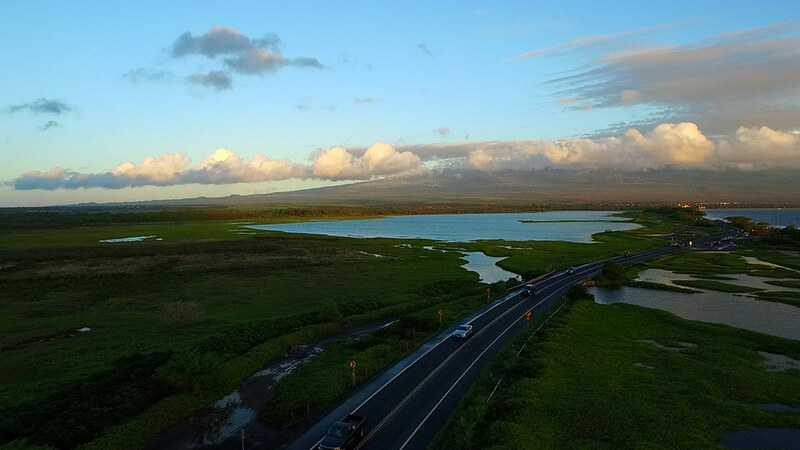 It is now one of the most popular areas in Hawaii for all kinds of entertainment; ocean sports, boat trips, Maui whale watching tours, museums, restaurants, shopping, art galleries and so much more. The Ka’anapali Beach coastline is lined with resorts, condominiums, restaurants, ocean activities, and shopping. Historically an ancient Hawaiian fishing community, Ka’anapali is now one of the most popular resort areas in Maui. Both Lahaina and Ka’anapali are full of a multitude of Maui vacation amenities and conveniences. When in West Maui areas, you will be savoring your vacation days! Enjoy all the best of West Maui with gorgeous views all day long, seasonal Maui ocean activities, basking in the sun, swimming in warm Hawaiian waters, eating at some of the best Maui restaurants, shopping and creating memories that will last a lifetime! Without a doubt, one of the most amazing marine wildlife adventures you’ll ever have an opportunity to partake in is a chance to witness the true magic of the North Pacific humpback whales! 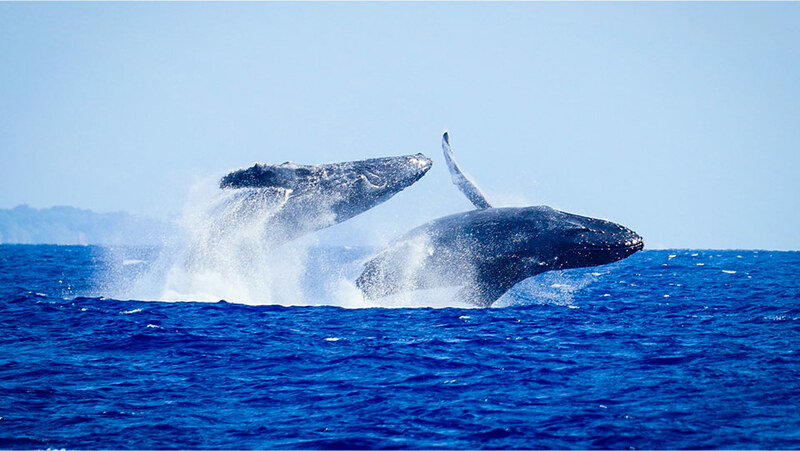 On Maui, West Maui visitors can see the whales in their natural Hawaiian environment (roughly November-May). Yes, year, after year, these gorgeous prehistoric mammals grace Hawaiian waters and shorelines during their annual Winter migration through to North Pacific Ocean. For those that don’t know, the North Pacific humpback whales travel to Hawaii every year to breed and birth their baby calves. Without a doubt, the #1 year-round top activity to do in Hawaii is snorkeling! Travel to the incredibly gorgeous Hawaiian Islands for your next vacation, and be sure to book a Maui snorkel tour for you, your family and friends. Aboard a state of the art Maui snorkeling vessel, visitors will surely enjoy the chance to be an eyewitness to the distinct beauty of Hawaii’s marine life. Visitors will journey safely underway with a professional tour guide and receive Maui marine life education, expert instruction, and snorkel guidance. 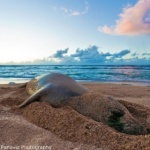 Just imagine how amazing it will be when you see the Hawaiian green sea turtle in their natural habitat, a host of tropical fish native to Pacific Ocean waters, and vibrantly colored West Maui reef formations. For more information, please visit Maui whale watching and snorkeling tours. Peruse restaurants, boutiques, surf shops and galleries in Lahaina! Front Street is located oceanfront in West Maui’s historic Lahaina Town. Hanging out down on Front Street is a must-do when in West Maui. Here, all guests can find great souvenirs, check out local art vendors and events, and grab a bite to eat and a refreshing tropical cocktail from any of Lahaina’s beachfront eateries. On Front Street, guests can find rare Maui made art, a variety of clothing boutiques, and lots of Hawaii craft vendors. Our favorite thing about Front Street is that it’s one of the richest historical locations on Maui. It’s full of adventurous activities, great people watching, and one of Maui’s most popular hubs. Also, wherever you are on Front Street, you can always see excellent Pacific Ocean views! When planning a time to check out Front Street in Lahaina, you should prepare for a whole day excursion. You should schedule a whale watch or snorkel tour in the morning, grab lunch at a wonderful restaurant with an ocean view, and stroll around Front Street going from business to business all afternoon. We suggest that you check out all the local art under the Banyan Tree on the weekends, and make sure to check out all the fun surf shops and local art galleries. Fore more information, please visit Front Street in Lahaina. Voted “Best Dinner and a Show,” in MauiTime’s, “Best of 2018,” Warren & Annabelle’s Magic Show is the must-see show In Lahaina. Guests will enjoy hours of laugh-out-loud entertainment in one of Maui’s most chic and comfortable settings. Your evening begins with a pre-show that includes tropical cocktails, delicious gourmet appetizers, and decadent desserts served in Annabelle’s Parlor. Here, you will enjoy being entertained by your singing wait-staff, accompanied at the piano by the Ghost of Annabelle herself. 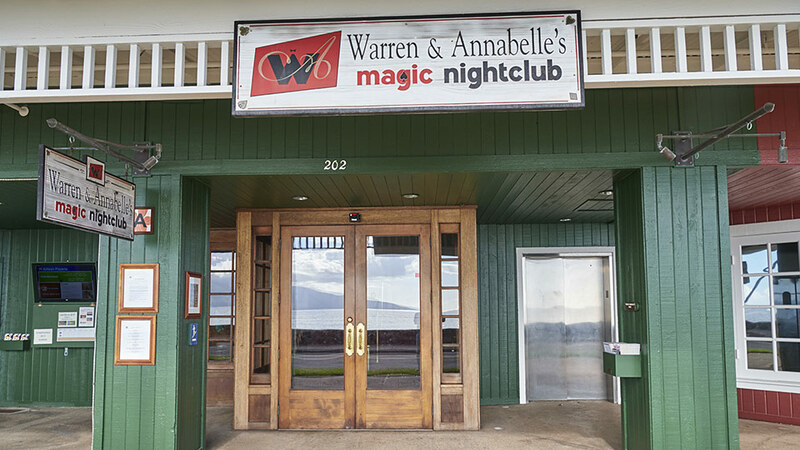 Warren & Annabelle’s Magic Show delivers an interactive evening filled with hilarious comedy and magic tricks that are presented by highly acclaimed performers. We highly recommend that you pre-book your reservation way ahead of time, as this show has been selling out for over 20 years! You don’t want to miss this truly unique experience in evening entertainment on Maui. Open Monday through Saturday and all guests must be 21 years of age or over. For more information about shows, please visit Warren & Annabelle’s Magic Show. Most visitors don’t know that Lahaina is full of Hawaiian history! Lahaina was the first capital of the Hawaiian Kingdom, a notorious sea trading port, a popular destination for whaling, and one of the first areas of Hawaii to be infiltrated by Christian missionaries and some of the first Western-born settlers. 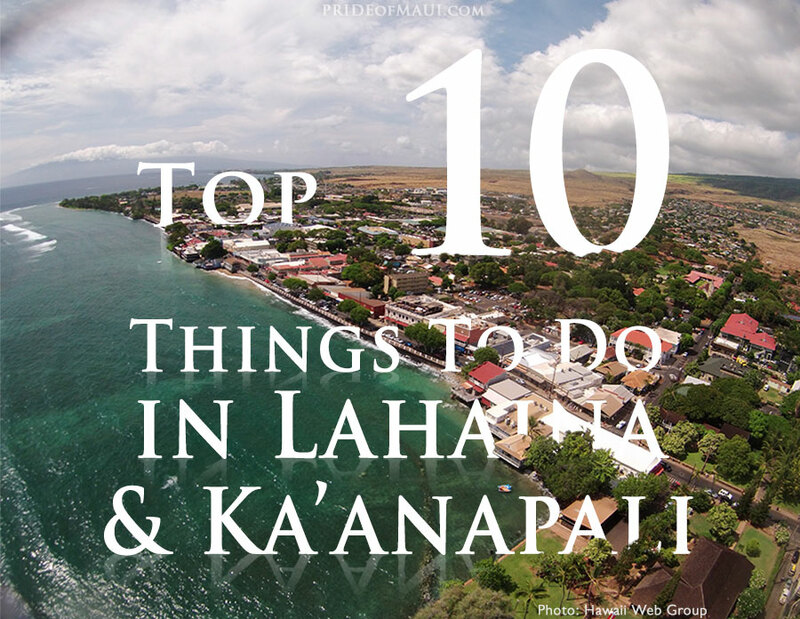 With all of this in mind, there are a profusion of historic sites in Lahaina. Fourteen of the main historical sites of Lahaina are maintained and curated by the Lahaina Restoration Foundation (LRF), a 501(c)3 Maui nonprofit organization that was sanctioned in 1962. 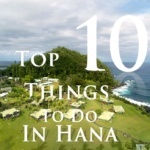 The LRF properties include: Baldwin Home Museum, Master’s Reading Room, Old Lahaina Courthouse, Lahaina Heritage Museum, Lahaina Banyan Tree, Lahaina Lighthouse, Wo Hing Museum, Hale Pa’ahao Prison, Hale Aloha, Seamen’s Hospital, Hale Pa’i Museum, Pioneer Mill Smokestack & Locomotives, Plantation Museum and the Lahaina Historical Trail. 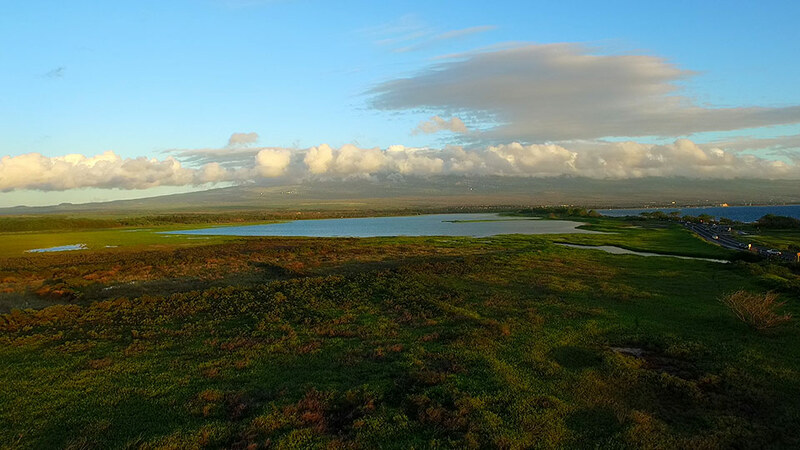 When exploring West Maui activities, make sure to experience some of Lahaina’s historical past by booking passes or tours with the Lahaina Restoration Foundation. They offer a variety of “Friendship” opportunities. For more information, please visit Lahaina Restoration Foundation. West Maui is home to a few of the most internationally renowned golf courses in the world. Hands down, golfing is one of the most popular activities in Hawaii, and there are many reasons why. Imagine golfing in Maui with perfect weather, impeccably landscaped grounds, the best instruction possible and the most beautiful views in Hawaii. That is what golfing in West Maui is. It’s luxurious, comfortable, elegant, challenging, and better believe; you’ll always receive top service. If you’d like to include a West Maui golf outing during your vacation in paradise, check out the Ka’anapali Golf Resort and the Kapalua Resort. The Ka’anapali Golf Resort features the ‘Royal Ka’anapali’ and the ‘Ka’anapali Kai’ golf courses. The resort features 36 holes, fabulous views, Maui golf packages, hosted outings, an academy, and a pro shop. If you’re looking for golf instruction at the Ka’anapali Golf Resort, then look forward to a real treat. PGA professionals on staff include Ed Kageyama, Sutee Nitakorn, and David Havens. They also offer two golf vacation packages, and both are affiliated to nearby resorts: Sheraton Maui’s Sunsational Golf Package and the Westin Golf Package. The Kapalua Resort is perhaps the most popular golf resort in Hawaii, and it’s surely one of the top golf resorts in the world. Besides the fact that they host PGA’s Annual Hyundai Tournament of Champions, they also provide two world-class golf courses: The Plantation Course and the Bay Course. Like most high-end golf courses in Hawaii, you can expect the awe-inspiring Pacific Ocean and mountain views. The Plantation Course was designed by Ben Crenshaw and Bill Coore and offers 7,411-yard par 73 layout challenges, along with a spectacular setting, wide fairways and huge greens. The Plantation Course is the site of PGA’s Tournament of Champions, so you’ll surely be golfing with some pros here. The Bay Course was built in 1975 and remains as the only course that’s hosted the most professional tournaments in all of Hawaii. It’s where Greg Norman had his first win on American soil! Above all, you’ll find that the placement of the golf courses on the Kapalua Resort property is perfection. Golfers can enjoy many different splendors at the Kapalua Golf Resort including schmoozing, world-class events, dining and professional PGA golf instruction in Hawaii. For more information, please visit Golfing in West Maui. Moana Glass is a glass blowing art studio located in Lahaina. Owned by artist Ryan Staub, this is not your usual Maui glass art studio. At Moana Glass, there’s a glass blowing studio for lessons, events, and active participation. Here, you’ll find an excellent West Maui activity that allows you to design, and create your very own Maui souvenir. In 1997, Ryan Staub began his journey with blowing glass as an art form in Seattle, Washington. Since then, he’s learned from and worked with the best glass blowing masters in the world; he’s perfected his art form in over 11 countries. 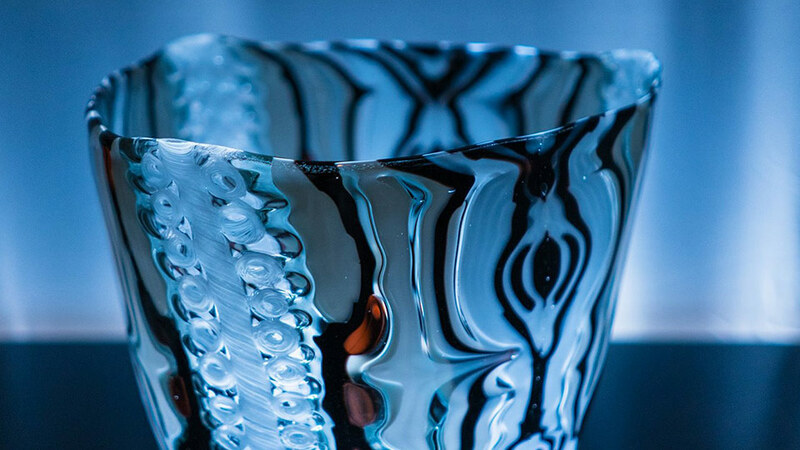 Staub’s travels and experiences led him to create Moana Glass. It’s a place where he can share his love for this ancient art form, allowing anyone to attend events and private lessons. When attending a glass blowing lesson at Moana Glass, students first pick a design to make, select from a color assortment, and then an instructor will custom teach you step-by-step how to blow your glass art. Moana Glass will provide all safety information (and safety glasses), and students are asked to wear closed-toe shoes and cotton clothing. 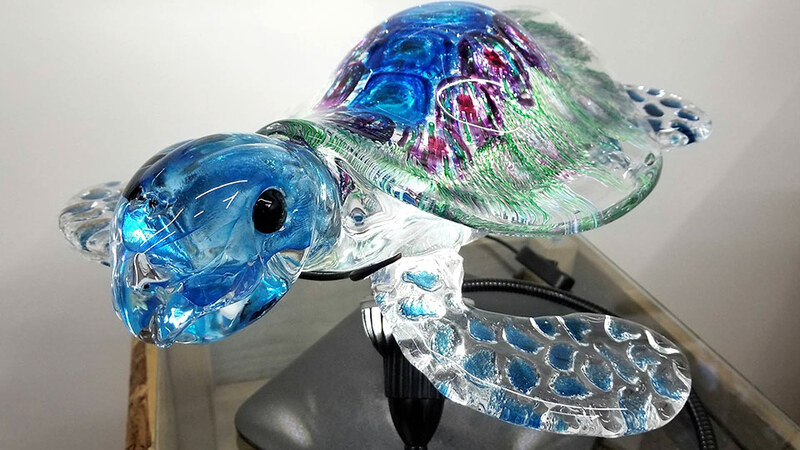 The cost varies by the art piece selected to make and includes glass hearts, marine animals, cups, spheres, bowls and more. All students five years of age and older are invited to partake in this incredibly artistic rite of passage with Moana Glass in Lahaina. Parasailing is one of the unique ocean adventures you can enjoy in West Maui. Legally, parasailing activities are only allowed to operate from May-December due to the annual migration of the North Pacific humpback whales in this distinct area. Parasailing flights are only available in West Maui; Lahaina and Ka’anapali. Without a doubt, parasailing can be one of the most exhilarating experiences of your life! 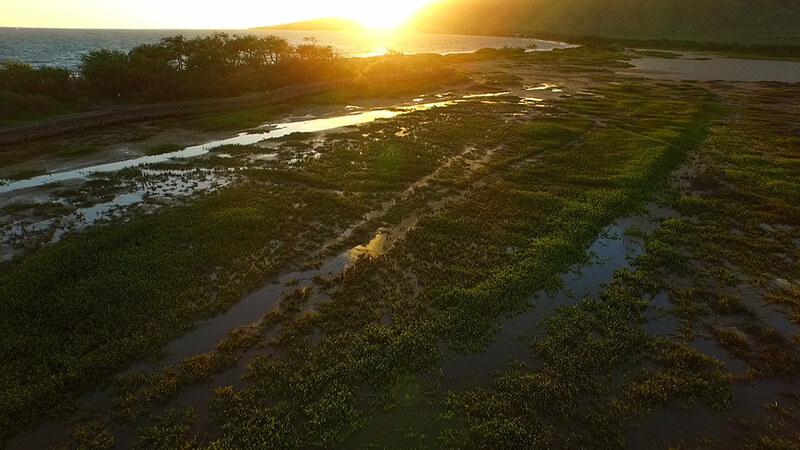 Guests will embark on a boat-led take-off, and experience a birds-eye view of the West Maui Coastline and Pu’u Kukui (West Maui Mountain range). Just imagine the stillness, the fresh ocean air and the excitement! Parasailing can be done on your own or with a friend. Guests will be strapped into a harness with their legs dangling. If you have a friend that would like to join you on the boat but not in the sky, this is possible. Maui parasail flights last approximately 1-15 minutes, and fly at heights that range between 25 and 50 stories high. If you’re interested in parasailing on Maui, please note that June and July are the two most popular months for this activity. It would be advantageous to book this Maui activity ahead of time. If you have any health contraindications, please check with your medical provider before scheduling a Maui parasailing adventure. For more information about parasailing on Maui, visit UFO Parasail or West Maui Parasail. Ka’anapali Beach stretches over 6.3 miles of West Maui coastline, just North of the Historic Town of Lahaina. The Ka’anapali Beach area is a popular resort area on Maui, with a variety of hotels and vacation condominiums, and a paved walking path that stretches from each far end. Within Ka’anapali Beach, there are a variety of activities to do on Maui including Snorkel Tours, Parasailing, Stand Up Paddling, Whale Watching, and Sunset Tours. Ka’anapali Beach is known to host fabulous sunny days, with crystal-clear, and calm ocean conditions. Residents and visitors alike adore Ka’anapali for its beautiful Pacific Ocean and outer island views, whale watching from the shoreline, and easy access to a variety of restaurants, bars, nightlife, and shopping. At the far North End of Ka’anapali Beach there is a famous spot called Black Rock (Pu’u Keka’a). This is a popular spot for rock jumping and snorkeling in West Maui’s warm Pacific Ocean. Historically, Black Rock also has deep roots in Maui’s mythological past. Legend says that the very last chief of Maui, Kahekili, proved his strength of spirit by leaping from Pu’u Keka’a in a ritual. In ceremony, each night the Sheraton Maui Resort (next to Black Rock) performs a Daily Cliff Dive Ceremony in honor of the Hawaiian chief. As the sun sets over West Maui, tiki torches are lit, and the cliff diving ceremony begins. As the cliff diver reaches his mount on Pu’u Keka’a, guests will here Hawaiian chanting and a blow of the conch shell to announce his arrival. After offering a flower lei gift to the ancestors below, the cliff diver takes a plunge off of Black Rock. This is truly a spectacular sight and one you should not miss if you are in Ka’anapali around sunset. For more information, please visit Ka’anapali Beach. Without a doubt, one of the most popular things to do in Lahaina is sport fishing. It’s one of the few and best places you can enjoy sport fishing charters in Maui. Lahaina Harbor is located right off Front Street. The harbor offers a variety of ocean tours and West Maui sport fishing charters. Depending on your sport fishing desires (deep sea and offshore trolling), there are many options to choose from including morning trips, afternoon trips, and full day adventures. The one thing to remember is that although fishing charters go out every day, they don’t always catch fish. Thus, the life of a fisherman! When choosing your Maui sport fishing charter, peruse the different boats, and read reviews to get a glimpse of what other people have experienced. There are ocean vessels of all sizes, some are group outings, and some are private excursions. Lahaina sport fishing charter companies of interest include Start Me Up Sport Fishing, Finest Kind, Jayhawk, Rascal Charters, Piper, Lucky Strike II, Reel Luckey, Action Sport Fishing, Hinatea Sport Fishing and Die Hard. When sport fishing in Maui, guests can catch a variety of fish including blue marlin, striped marlin, yellowfin tuna (ahi), wahoo (ono) and dorado (mahi-mahi) and more. Please note that some Maui sport fishing companies will fillet your catch and allow you to take home for a fresh caught Maui dinner experience, others Amy not. Also, Maui has some pretty strict game laws, so canning and packaging of fish are not allowed. Since 1988, Atlantis Submarine has been sharing their underwater adventures in Hawaii. Their submarine adventures operate on the Island of Maui and Oahu. On Maui, guests can travel underway with the Atlantis crew in West Maui waters. Their submarines are environmentally safe, battery powered, and emit zero pollutants into Maui’s ocean and reef systems. In addition to regarding eco-tourism practices, Atlantis has also installed artificial reefs and a sunken Carthaginian replica of a 19th century supply vessel to create self-sustaining habitats for Maui’s tropical fish and marine life to flourish. On a Maui Atlantis Submarine tour, expect to experience an undersea adventure like no other; perfect for small children (minimum of 36 inched in height), adults and seniors. The Maui submarine ventures 100 feet below the ocean surface and can accommodate up to 48 passengers with air conditioning, and many viewing windows. Tours can be narrated in Japanese, Chinese, and Korean via headsets. In total, the Maui Atlantis Submarine tour is 1 hour and 45 minutes, and guest check-in commences at the Atlantis Submarine office on Front Street in Lahaina. Please note: Guests must be able to navigate up and down a 10-step ladder to enter and exit the submarine, and the schedule is subject to change during Maui’s Whale Watching Season (roughly December-May). For more information, please visit Atlantis Submarine. 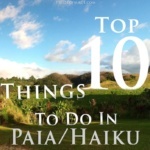 Mahalo for reading Pride of Maui’s Top 10 Things to do in Lahaina & Ka’anapali article.